This is for our 10 to 40 gallon distillation units. We can install this for you on a unit you purchase through us for an additional fee. Please inquire within. This Unit Comes From A company who has been building electrical elements for moonshine stills for over 15 years. The Distillery Network Inc. has been doing business with this company for over 6 years and we have never had an issue with their quality or customer service. These guys are very professional and can help with any issues that may arise. 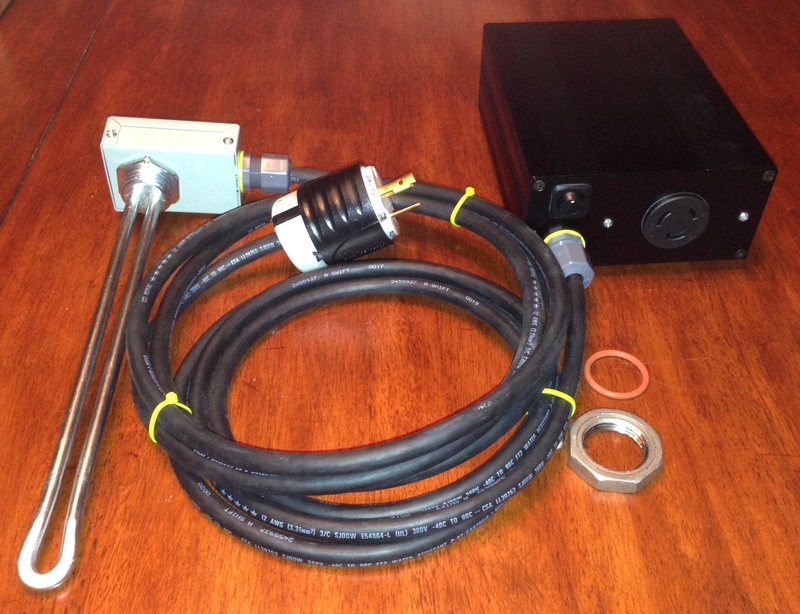 A 220v electric heating element and controller is used to heat up a moonshine still sized between 10 and 40 gallons capacity. 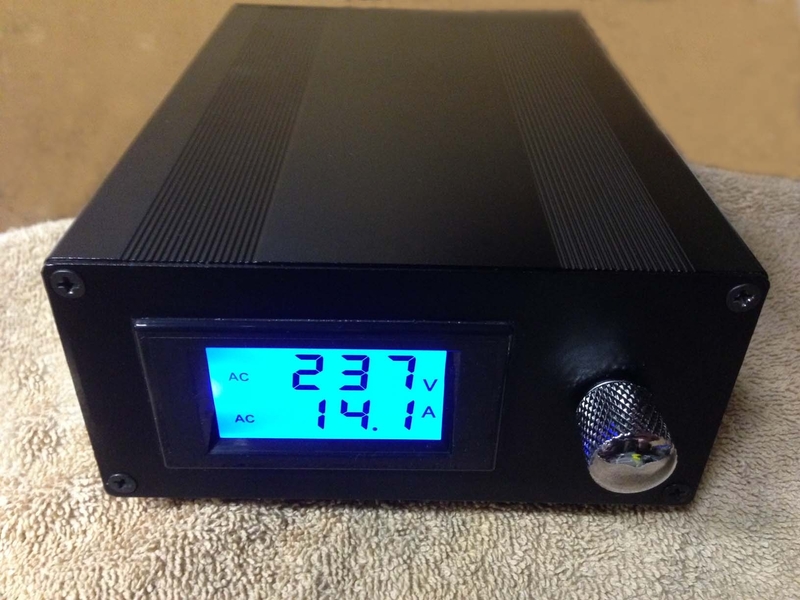 This unit will heat up your moonshine still VERY FAST. Almost too fast, so make sure you go slow. 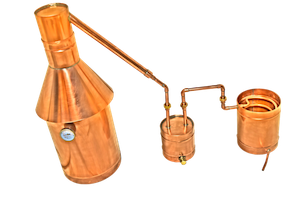 We are proud to offer Electric as an option for our moonshine stills and they are plug and play units. If you order an electric unit, you will recieve an adapter built into the moonshine still that you purchased. This adapter is made of copper and is 1 inch NPT which is straight pipe thread. The element will spin in perfectly snug and then all you have to do is plug it in and play!